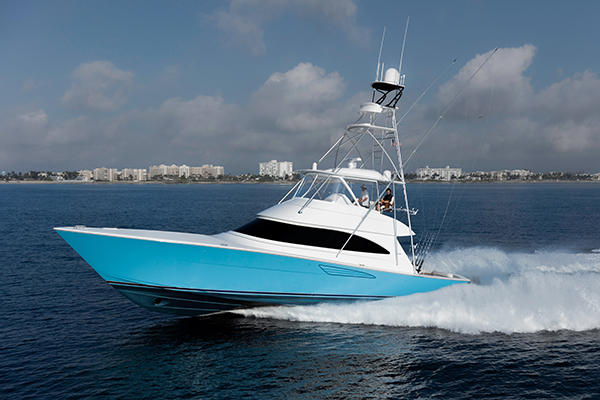 The Viking 58 Convertible made her world debut at the Fort Lauderdale International Boat Show, drawing visitors non-stop throughout the five-day event. The 58 C’s center console walk-around helm is an ergonomic masterpiece. Electronics, engine controls and communication equipment is strategically placed for ease of operation and housed in protected recessed compartments. The flybridge features a custom electronics package from Viking’s Atlantic Marine Electronics. Chase new horizons from the 58 C’s tuna tower with second helm, custom installed by the Viking subsidiary Palm Beach Towers. Satin black reduces glare and dual recessed boxes hold electronics and engine and instrument controls. At 165 square feet, the 58 Convertible’s cockpit is the largest in its class—a full 12 square feet bigger than its closest competitor. In the salon, the companionway extends from the starboard-side salon door all the way to the forepeak, creating an inviting open space with three gathering areas. The port-side master stateroom’s athwartships bed allows for maximum walkaround space and his-and-hers hanging lockers. The forward guest stateroom comes with either a single walkaround queen or this crossover berth arrangement. In the starboard guest stateroom, you have side-by-side bunks, a maple-lined hanging locker with drawer storage underneath. An optional HD TV can be installed in both guest staterooms. The guest and master heads have satin nickel hardware, Amtico flooring, electric heads, engineered stone countertops and enclosed walk-in showers. 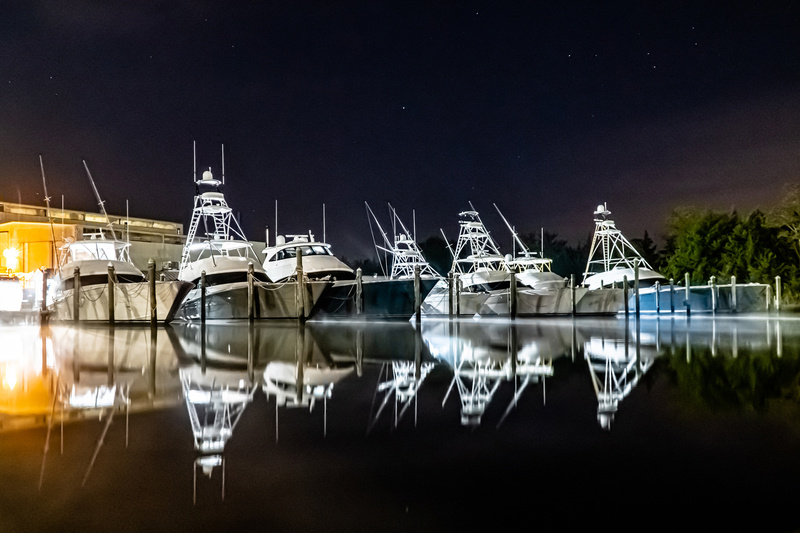 Come see the 58 C February 1st and 2nd at our invitational 23nd Annual VIP Boat Show Preview at the Viking Yacht Service Center in Riviera Beach, Florida. She’ll also be at the Miami Yacht Show February 14th through the 18th at its new downtown Miami location. For more information, contact your authorized Viking dealer.